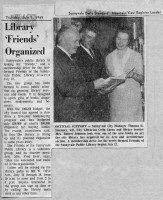 The first book sale in 1966 raised a few hundred dollars. Now, there are Friends book sales about six weekends every year, each of which raises thousands of dollars. In addition, there is a sale area inside the library where books can be purchased whenever the library is open. The Friends also has an online store at Amazon.com. 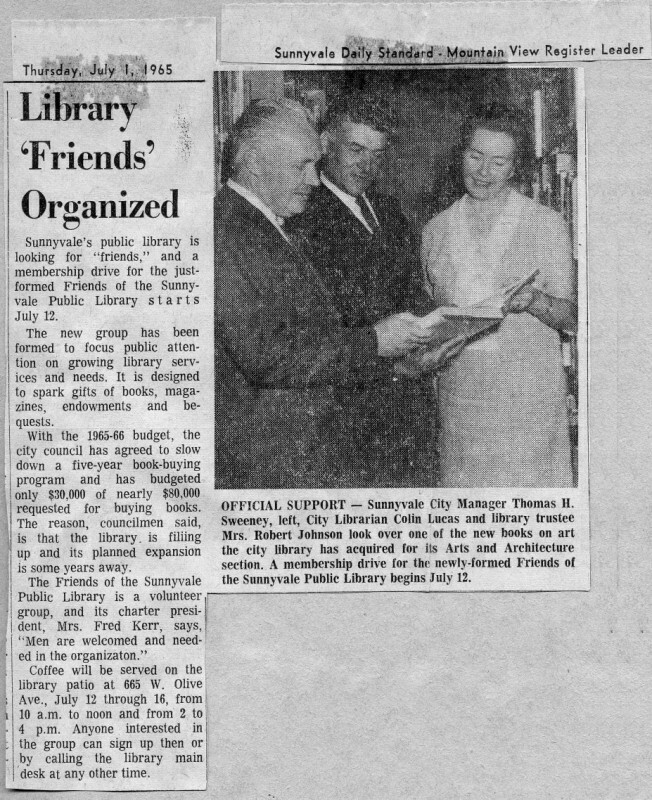 The funds are used by the library to maintain and extend the collections of books and media; to purchase equipment, furnishings, and art; to sponsor library programs; and to assist the library in financing a variety of literacy programs within the city of Sunnyvale. Our main source of books is donations, and our main source of donated books is you! We depend upon your generosity in order to hold our sales that benefit the library. Book donations can be put in the depository just inside the library or given to library staff at the checkout desk (you can get a tax receipt here). Arrangements for transferring large collections, estate donations, endowments, or bequests can be made by calling the library at (408) 730-7303. 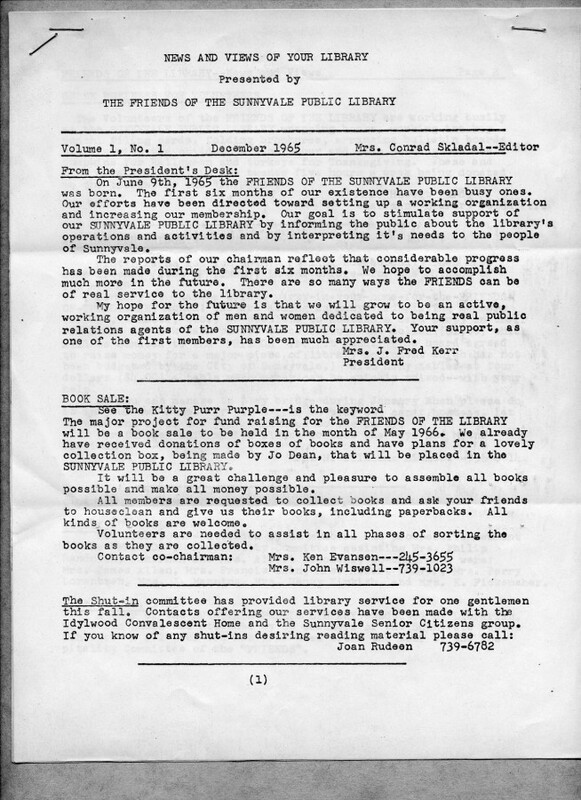 The Friends of the Sunnyvale Library is a registered 501(c)(3) organization. All donations and purchases are tax deductible. Our bylaws / charter document was last revised in November, 2009. The Friends hold regular board meetings on the second Tuesday of each month. There is an annual meeting in July for the purpose of presenting reports and electing officers.